Ask anyone who lives here and they’ll tell you that one of the best draws of Portland is that you have the luxury and culture of the citylife while still being close to nature. It’s true. Portland is an undeniably green city. Around the downtown area, you can find trees, gardens, grass, and more. Just outside of the city you have access to some of the most beautiful hikes in the Pacific Northwest. Here’s a look at three hikes that are just a 30 minute or less drive from the city. Whether you’re looking to find a quiet spot for a short hike, are looking to take a special someone for a picnic, or are looking to get the kids outdoors Molalla River State Park is the perfect place for you. You’ll start this hike at the Willamette River parking lot and then work your way through the woods to the Molalla River. From there on it’s a smooth stroll until you hit the Molalla River Beach. Feel free to jump in the water or just turn back. Molalla River State Park also makes for some great kayaking, canoeing, and nature-watching. Osprey, egrets, and geese are all known to make appearances there. Many dog-owners enjoy taking their pups dogs with them around Molalla and as an added bonus, there’s a huge off-leash area. For more information, check out this comprehensive guide on EveryTrail.com. A view from near the top of Angel’s Rest. There’s a lot to love about Angel’s Rest. It’s a relatively quick hike filled with gorgeous views, flowers, and (fortunately) shade. You start off in a fern-blanketed forest, before starting a .6 mile ascent to the top of Coopey Falls. Beautiful view alert. After crossing a footbridge, you’ll then continue up switchback for another 1.6 miles. You may be winded by the time you get up there, but the views well worth it. There’s even a bench up there to help you enjoy the Columbia Gorge in all of its splendor. Although Angel’s Rest can get pretty crowded during the day, you’ll find it to be pretty quiet if you can get there in the early morning. It will take most people between 3 and 4 hours to complete this hike, but we’ve heard of hikers who’ve made the journey in 2 hours flat. Feel free to bring your dog with you. Just be advised that you might have to assist smaller dogs through a couple of particularly rocky patches. For more information, check out this comprehensive guide on AllTrails.com. 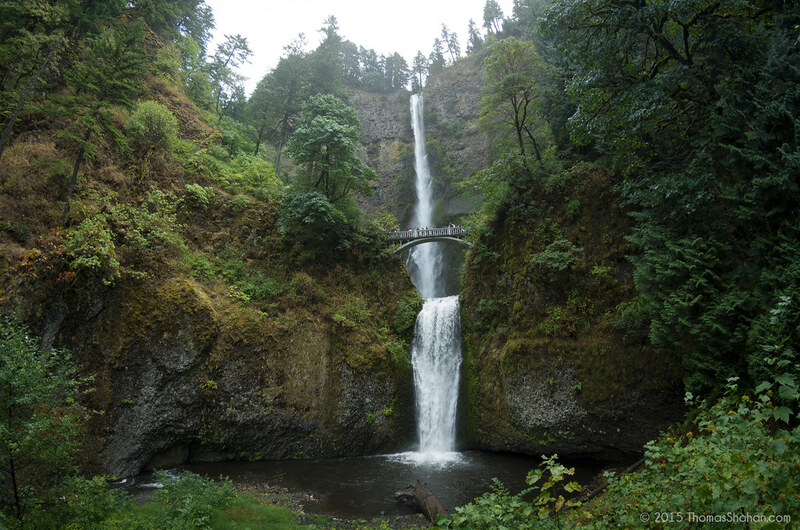 If you’re looking for some gorgeous, up-close views of waterfalls, the Wahkeena Falls Loop is the hike for you. You’ll start off near Wahkeena Creek and then slowly work your way past beautiful mountain springs. Eventually you’ll run into Larch Mountain Trail which will take you to the top of the tallest waterfall in Oregon, Multnomah Falls. 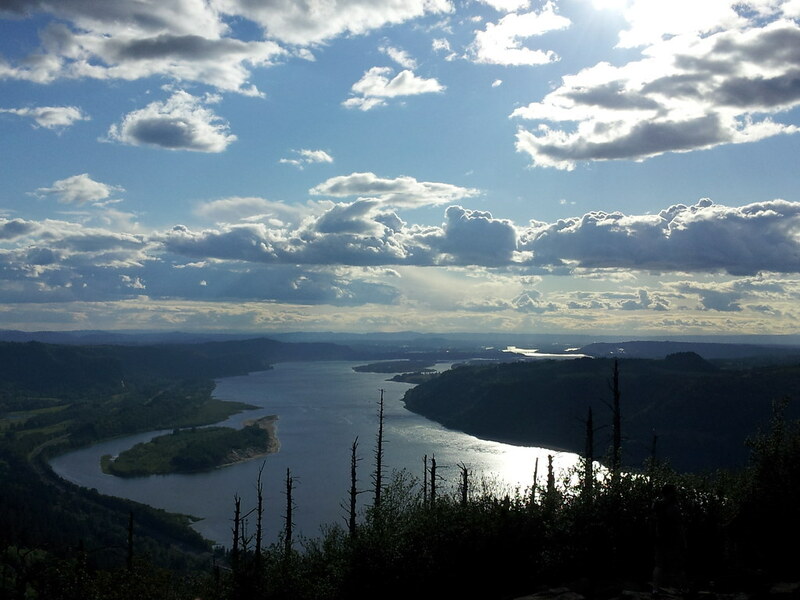 Take a second to enjoy the views of the Columbia Gorge. As you work your way down, the other way, you’ll pass Multnomah Lodge and return back to the parking lot via the highway. Although there’s parking alongside the road, you can also park inside of a picnic area. Just keep in mind that the gate will lock at 8pm. Also, dogs are totally welcome, as long as they have a leash. For more information, check out this great guide on AllTrails.com. More hikes to come! Are there any hikes you’d recommend? Let us know on Twitter @ChangeRealtyPDX. Check out our featured listings on SlideShare.